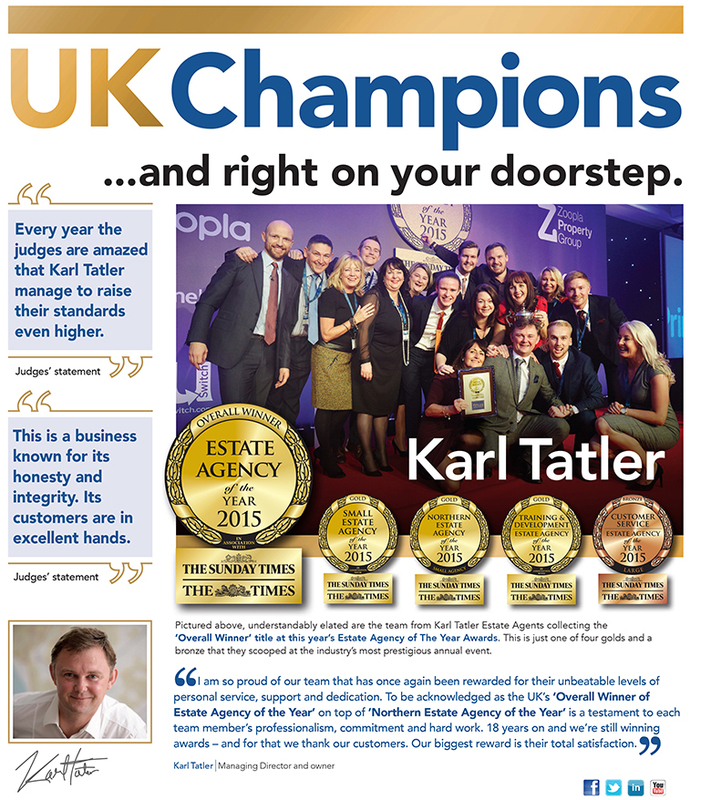 The Wirral News Wrap provides an interesting feature of our phenomenal recent awards success where Karl Tatler Estate Agents were crowned Overall Winner Estate Agency of the Year 2015. Further to this outstanding award, we also achieved GOLD award success as National Small Estate Agency of the Year, Best Small Northern Estate Agency of the Year, Training & Development Estate Agency of the Year and the Bronze award for National Customer Service Estate Agency of the Year. The feature in the Wirral News includes a comment from Karl Tatler, Managing Director and owner, and an opportunity to see what some of our customers say about us. There is also an interesting feature on all our community work throughout 2015 which culminated in a fantastic £3,887 raised for various charities throughout the year. Make sure you take a look in your Wirral News this week.